I really enjoyed Kate Ellison's first novel, The Butterfly Clues. It was a mystery that really revolved around the characters, and that was the case in Notes from Ghost Town as well. Even though the mystery was present, it was Olivia's journey that made the book memorable. "I thought that all my mourning and pining for Stern meant that there was no room for another person. But maybe the heart is an organ on constant-ready, always waiting to try again, always open to the next best thing." 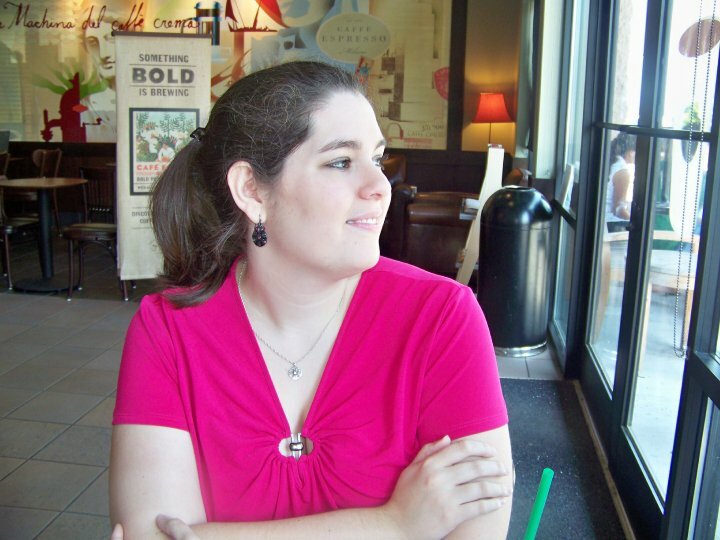 Olivia Tithe never expected to lose her best friend and first love. But she did. In the aftermath of everything, Olivia fears that she's losing her mind, just like her mother did. She's going colorblind, finding herself trapped in the "Gray Space" her mother always talked about, and she's powerless to stop it, powerless to bring Stern back, powerless to help her mother. Until Stern's ghost appears to her and says that the police have the wrong killer. As Olivia works to uncover the true person behind the murder, she finds herself caught up in emotional struggles she wasn't prepared for - trying to come to terms with her father's new marriage, trying to hold on to Stern, trying to move forward like everyone tells her to, all while trying to stay sane. Time is running out, and if she isn't careful, Olivia could end up losing everything - even herself. "I stare up with him at that same blackness, the bigness of it spinning all sorts of strange philosophies through my head. All the usual, corny stuff about how small we all are and how far the ocean goes and how getting swallowed up in the unendingness of it all is both the loneliest sensation in the world and also the most comforting." Notes from Ghost Town left me with mixed feelings. I already knew that I enjoyed Kate Ellison's writing, and the opening of the book was so striking, that I expected to love it. However, I kept finding myself pulled out of the story by little things, even though I wanted to be engrossed in it. It was fairly easy to guess the actual murderer early on, and although I had been excited to see the ghost element incorporated, it somehow didn't turn out to be what I hoped for. Her losing her sight and her seeing Stern never seemed to be connected, and I wish that those could have been integrated more. Beyond the mystery element, however, the story was very emotional. Olivia had an overwhelming amount of change to deal with, and I sympathized with her through everything, especially her fighting her lingering feelings for Stern with her growing crush on Austin as well as her colorblindness impacting her ability to do art. Yet Olivia was stronger than she gave herself credit for, and I appreciated this. Even though she was struggling, and even though she was tempted to push everyone away, she still wanted to help her mother when everyone said she could no longer be helped, and despite the issues she had with her stepmother-to-be, she always loved Wynn, her future stepsister. But what really made this book was the writing, the inner monologue and insights that Olivia had. When I felt myself being pulled out of the story, the more introspective moments would pull me back in again. Everything else aside, these moments alone would make the book worth reading. "You remember that it is important to be alive because there is love, even if you cannot touch it with your hands or your lips. There is love." 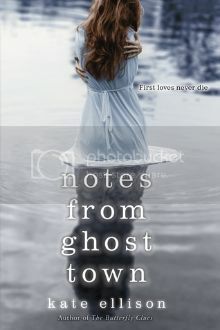 Although it is a paranormal mystery, Notes from Ghost Town is, at its heart, a book about the power of love - the strength it has, the strength it gives, and the importance of giving, receiving, and allowing love into your life. Kate Ellison certainly has a memorable way with words, and I'll look forward to seeing what she writes next. I am very excited to have one hardcover copy of Notes from Ghost Town and one paperback copy of Kate Ellison's previous book, The Butterfly Clues, to give away! Please note that the book will be coming directly from the publisher; please allow ample time for the book to arrive if you win. This contest will close on Friday, March 15 at 12:01 AM.